Goodness pays because goodness grows. It’s contagious. 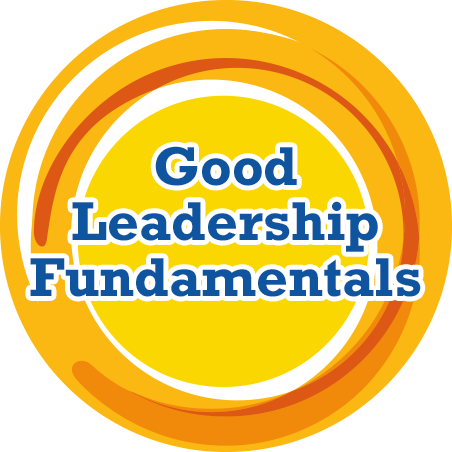 Learn how blending the Seven Fs and the Cornerstones of Goodness© will help you live with less stress and lead with more confidence in the Good Leadership Fundamentals training. The result: A positive, forward-looking development plan to help you become more magnetic to the best talent, and more attractive to the best customers in your world. How often is anything significant really accomplished alone? Learn how teams that create a compelling plan with shared commitments get great results working together in Good Leadership: Team Leader Training. The result: Forward team momentum, accelerated careers, magnetic energy that attracts the best customers and talent, and improved performance! Is your company going through a leadership change or a process redesign? Is your team frayed or hitting a brick wall? Accelerate your team talent, motivate team alignment, develop a strong succession plan and drive performance with Good Leadership: Leading Change Training. Scientists have proven that change is typically greeted with negativity. This negativity results in lack of team alignment, internal fighting and passive resistance – the most expensive waste in an organization. The key to combating this reaction is to help people understand how they can feel like “winners” early in the cycle of change and loss. The Good Leadership Enterprises approach is simple and powerful. Curated from decades of Change Management and Leading Change Theories, our Leading Change Training uses proven methods and tools to help you skillfully lead change in ways that encourage and inspire the people most important to success. Leading Change is a facilitated, tool-based, insight-driven training experience which includes discussion groups, interactive exercises and coaching buddies. Learn how to apply the Head – Heart – Hands method for leading change: a process of explaining the intellectual reasons for change, emotionally enrolling individuals to commitment and empowering teams to be involved in planning. Receive tools to maintaining personal resilience through times of change. Gain insight into how change can help you grow into the leader you aspire to be. Create a tailored My Start, Stop, Continue Development Plan, with practical Step Up Challenges aligned with their personal and professional aspirations. The result: Powerful team camaraderie, alignment and improved overall performance. Are you a people-oriented leader who enjoys helping professionally develop others? Do you want to create a culture of encouragement in your business? Do you aspire to have magnetic energy that attracts the best talent? Good leaders recognize that positive coaching helps people imagine what’s possible and create a plan to achieve it. 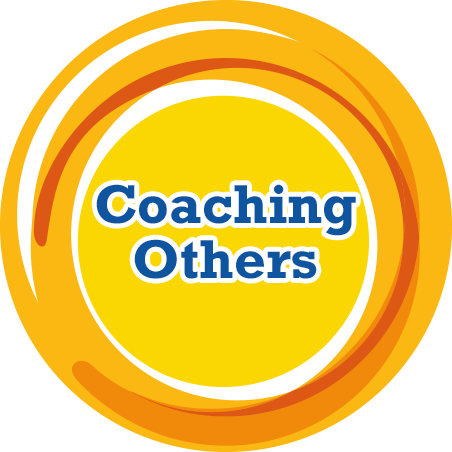 Personalized coaching development improves confidence, motivation and sustainable behavior change, resulting in better performance, team alignment, talent retention and magnetic energy with customers. The Good Leadership Enterprises approach to Coaching Others is people-oriented and powerful. Coaching Others training builds skills which can be cultivated and multiplied, producing alignment and accountability in teams. It’s about creating great results by motivating others to reach their highest potential. During this one-day intensive training, you will develop critical leadership skills and learn how to encourage aspirational thinking, facilitate goal setting and establish tactics that cultivate high performance. The result: You will be a better coach on the job and a leader that attracts the best talent. Executives today need to develop a sustainable leadership style based on integrity and authenticity. It’s a journey which requires two skills: competency and character. Competency is the skill of good leadership and character is how a good leader responds to the unexpected twists and turns of a dynamic business environment. When good leaders, work together with good intentions great things are possible. Working together is the only way we are going to grow our businesses and create a hopeful future. Learn how to create momentum for your ideas, and secure the commitment of resources beyond your control in the Good Leadership: Influence Without Authority Training. Good Leadership Training is a facilitated, tool-based, insight-driven, and interactive training program featuring the use of peer-coaching to accelerate, personalize, and immediately channel the learning into good leadership – at home and at work. For more information: Contact Us.